Costa Rica Spanish language School classes courses and programs comparison site. As a World Teach volunteer teacher you will witness firsthand the challenges and rewards of education in a developing country. You will share the skills and knowledge gained through your education and life experience with students who have not had the same advantages, and you will make a concrete and lasting difference in their lives. Andeo International Homestays (formerly International Summerstays) offers homestays in Oregon and Washington as well as study and immersion programs abroad. We organize programs for school groups and individual high school students, as well as gap programs for college-age students and adults in Spain, France, Germany, Italy, Mexico, Costa Rica, Ecuador, Peru and Japan. Accredited Spanish language, cultural immersion and community service summer adventure camp for high school students in Costa Rica and Nicaragua. Earn college credit. Broadreach and Academic Treks. 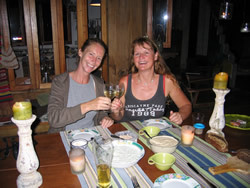 Montaña Linda & OTIAC work with Mapache rent a car Costa Rica. Basic costs are available online and bookings can be done in advance or upon arriving in Orosi. Please remember to always mention Montaña Linda when booking. Montaña Linda & Otiac work with Lee @ Locos. 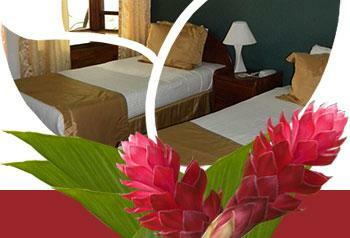 With groups of 4-6 minimum special price in effect for Montaña Linda guests. Transport not included as it is 1 1/2 away on local buses. When you arrive at Chanti’s place, you see the expression of her creativity. ‘Wabi Sabi’ is her slogan, which means for her ‘The beauty of the imperfection’. She shows it by the way she has built her house and developed her area in a process of several years. There was nothing determined. Chanti’s house, the two guesthouses and the decoration are made of parts from the nature around her, like stones and wood, especially bamboo. On her turn, she gives the nature space to let grow vegetables, fruits and herbs. Chanti is open to the personality and creativity of the guests. Come, see and enjoy Chanti’s beautiful place! This bus schedule site a great place for central and south America hourly bus schedules…once you learn how to work it: Click on earlier or later buttons to see more of the schedule. The company provides daily shuttle service to the main tourist destinations around the country, integrating a consolidated network of safe, easy and comfortable service. Hotel 1492 is a cozy hotel near downtown San José. With only 10 rooms you will feel this experience as if you are in your own house. 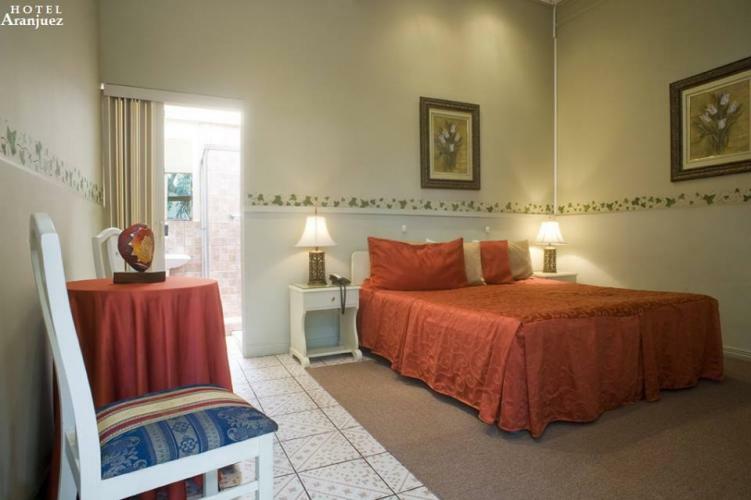 Located in a safe residential area “Barrio Escalante”, with parking lot ideal for the passengers traveling with car, it is close to San Jose, downtown. Three words discribes our Hotel 1492 Peaceful, Art and History – come and stay with us!!! PANGEA is the only hostel in San Jose named 3 consecutives times the Lonely Planet Author’s Choice and the number 1 budget option in San Jose since we opened. Tim decided to build this web site to clarify just exactly what is The Real Costa Rica. Here you will find the accurate answers to hundreds of questions about Costa Rica. The nice thing is that there are even answers to the questions you did not know to ask! It contains articles, statistics, photographs, movie clips, tables and charts, and above all, correct information about Costa Rica. Many hundreds of hours have gone into developing this web site, and I (modestly) believe you will find no other complete source for 100% accurate information on Costa Rica. The Dutch travel site created by Wouter Zagt via Ecole Travel is informative, updated and includes local details but all in Dutch. Same as above but in English, travel site created by Wouter Zagt via Ecole Travel is informative, updated and includes local details. Online Spanish language immersion study resources, internet based classes, effective Spanish study software, CDs/DVDs and Spanish immersion school information in Latin America, Spain and elsewhere. A Tropical Delight! Fall in Love with Costa Rica! Stocked with Photos, info about everything, under the sun, in Costa Rica! Cute, tropical animations Complete with a Costa Rica Market Place, E-Commerce, Shopping, Costa Rica Exports & Imports! Must See! Offers unique experiences away from the traditional tourist traps. We support local initiatives to encourage communities to protect the environment and save their culture and traditions. Sharing their culture and environment means a significant income to their small economies and also a new hope. Are you in living or traveling in Central America? Would you like to improve your language skills in Spanish or another language by spending more time talking to native speakers? If so, Intercambio Central America is for you. This site makes it easy to find native speakers of other languages in your area and to set up intercambios (language exchanges). It’s simple and completely free: register your details, then search for people near you who speak the language you are learning and who want to practice your native language. Learn Spanish with videos. Our online video magazine will improve your Spanish learning experience. Online Spanish Lessons. The complete online Spanish learning solution. Video and audio lessons, vocabulary, verb tables, pronunciation guide, quizzes and much more. Access to 1000’s of Spanish verbs, nouns and adjectives with word remembering exercises.